Please Make Every Effort to Attend Our SCPTA General Meeting THIS WEEK! Our meeting will be held at Reed Academy. Remember, you are welcome to bring your executive committee or any other PTA member who would be interested in attending with you! PTA leaders, are you feeling a sigh of relief, or feeling that sting of anxiety that comes before the relief…2019-2020 unit officers were due by March 31 to MOPTA! Individual units move at their own pace depending on how the unit has functioned this year. Stay with it! Staying on time with the process of being in good standing keeps morale up in your unit and everyone’s job flowing smoothly. 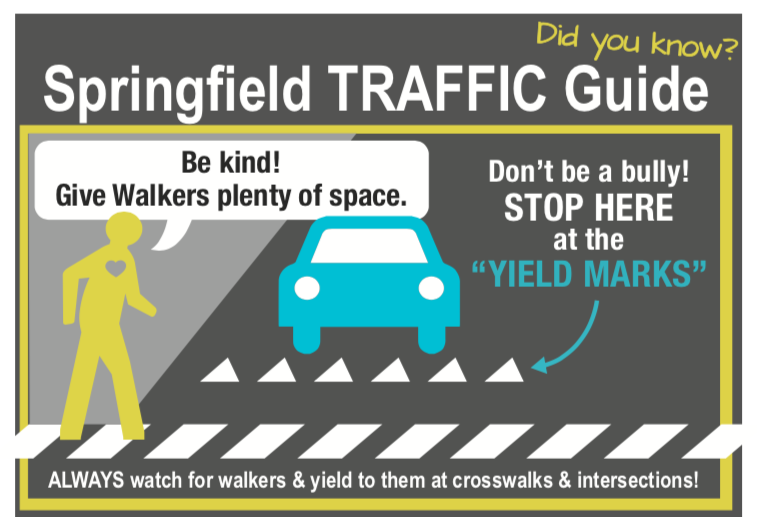 Please let Council officers know if you need some help. PTA volunteers are passionate about helping and being involved, but some of them are hiding behind those “come find me” bushes. Come out, come out, wherever you are!! Being a PTA leader goes on your resume as a community-minded volunteer. PTA impacts your personal and public life. PTA has this unique way of guiding you through new and scary places you’ve never been before, then voilà, you are a leader. You are talking to legislators; you are addressing your school board; you are an art curator; you are pulling socks and underwear out of bins for smiling children; you are a program manager and an event planner. See, you could do it after all! And now you love it and are training a volunteer to follow in your footsteps. That’s because you are PTA. A couple of other things: thank you for the countless hours of supporting Proposition S. It’s a powerful thing when we work together! MOPTA Convention is April 5-7 right here in Springfield. Thank you to all of our PTA members who are volunteering and representing your PTA/PTSA units! We have 17 units represented. We have Hillcrest High School students attending as well! The convention is an excellent place to learn how powerful your voice is and how to be an advocate and how to lead a successful PTA/PTSA unit. Create a line item in your budget for next year to include sending delegates from your unit to convention. I am delighted to have Amy St John, Director of Performance Analytics, Dr. J. Anderson, Executive Director of Elementary Learning, and Dr. Shane Dublin, Executive Director of Secondary Learning sharing with us today the process of compiling and reporting students’ test scores/academic performances. 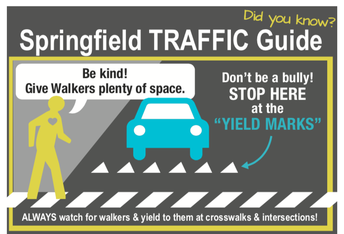 I am also happy to have presentations from Michala Boehm, SPS Office of Students in Transition, Social Worker; Daphne Greenlee, manager of Mercy Injury Prevention and Coordinator for Mercy Safe Kids and Mandy Buttgen-Quinn, Traffic Safety Professional and Safety Engineer, City of Springfield. 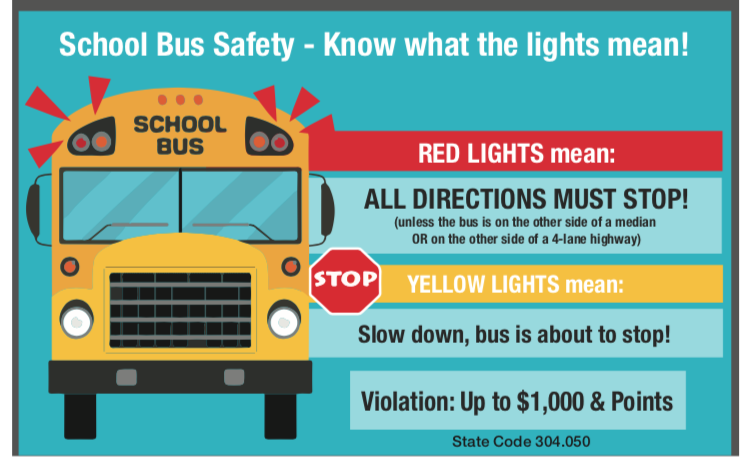 If you have a Safety Chairperson, please connect with these ladies to schedule a presentation at your PTA or for your school. We have lots of good reading in this newsletter. Enjoy, and by the way, the last day of school is May 21st. I would love to hear your antedote of what you have done in PTA that you had not done before. Email me at president@scptamo.com! Nestled in the heart of the historic Northside neighborhood, Woodland Heights, Reed Academy was built in 1921-22 on land donated to SPS by Nathaniel & Mary White. The first PTA president was Maud Wilson Clifton in the school year 1922-1923. Reed students currently use the football & soccer practice field and running track across the street in Lafayette Park, one of the first public parks in Springfield (established in 1869). Built around the same time, Reed shares a very similar floor plan to Jarrett and Pipkin Middle Schools. That’s a ‘blink’ at the history. Fast forward to today, well, let’s say just over nine years ago when Principal Dr. Debbie Grega and her team began to lobby the school board to implement a new academically rigorous "academy" at a struggling school. They won. 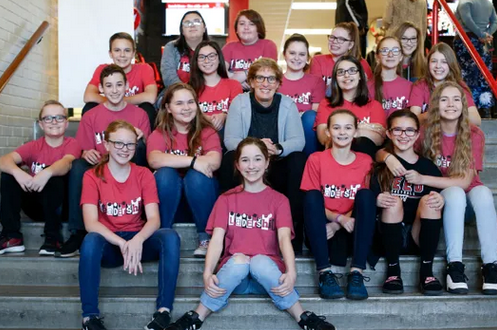 This highly successful choice school program offers students high school level courses giving them high school credits by the time they enter 9th grade. Adding this level of curriculum prompted the name change from Reed Middle to Reed Academy. 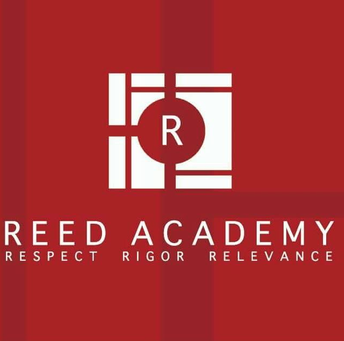 Additionally, Reed Academy is the home of the recently nationally awarded and recognized Reed Academy Singers (a choir of 7th & 8th graders who win competitions over high school choirs nation-wide). The choral department includes choirs of 6th graders too and has over 300 students in the program. Principal Grega, the hero as mentioned above, is retiring from SPS this year after 12 years at Reed (as well as teaching 10 years at Parkview, and was an assistant principal at Hillcrest too). She’s had many accomplishments and challenges at Reed and has risen to the top every time! She had the vision and the passion and the team to create something new to turn around a struggling school community of middle schoolers. For students and parents, she’s been approachable and relatable. For her faculty and staff, she’s been a great, dynamic and respected leader. And, on top of that, she’s fun! You heard about her "Ellen Show" spoof she staged at an assembly in an effort to bring Ellen DeGeneres to Springfield? 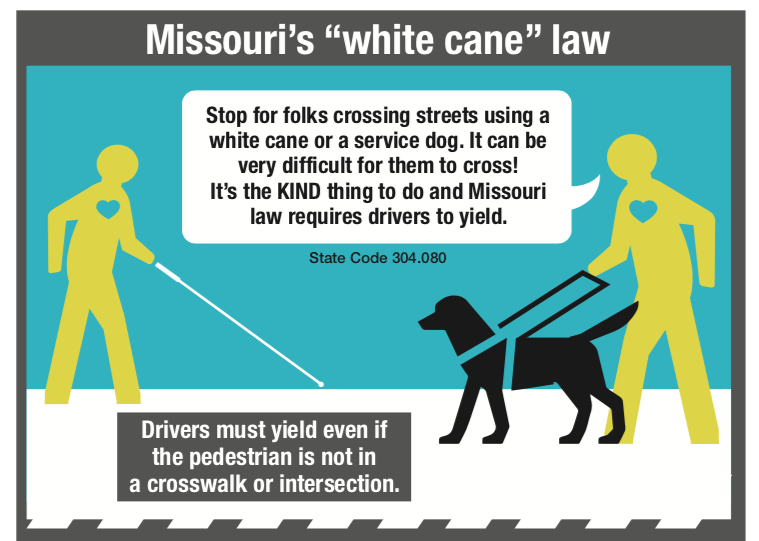 You can read about it in the News-Leader article. Thank you, Dr. Grega, for all you’ve done for your students, and for supporting your PTSA at Reed!! On February 26, students at Glendale High School participated in “Flock Together: No Family Left Behind.” Glendale staff and students were very concerned about the 2018 Missouri Student Survey data that indicated students at our school had higher than state average rates affiliated with suicide, bullying and substance use. Students worked in subcommittees to coordinate every aspect of the conference. When all was said and done, 40 presenters shared in breakout sessions themed around mental wellness, healthy relationships, and healthy lifestyle. Fifty vendors participated in the resource fair highlighting programs and resources available in the Springfield community. Flock Together kicked off with an all-school assembly where the nationally-renowned speaker, Jeff Yalden addressed the student body. Mr. Yalden is as an expert on teen mental health and spoke candidly about suicide and mental wellness. Students were encouraged to embrace differences and to live their best life each day. As someone who suffers from depression, Mr. Yalden’s insight was powerful! Each student was able to not only hear Mr. Yalden but to participate in three breakout sessions and visit the resource fair. After the conference, students gave feedback said they appreciated the message brought by Mr. Yalden, “He made an impact on us. He was honest and real.” One student commented, “It was helpful to learn that after 27 years, he is still in therapy. Mental illness isn’t an easy fix; it is a difficult road.” In the breakout sessions, each speaker had a personal story to share that helped students understand how every decision made has an impact. Ultimately, we believe that because of our event, students at GHS are more knowledgeable and willing to discuss these issues. They also know where and how to seek help if they need it. The Missouri PTA Convention is in Springfield THIS WEEKEND and You Can Sign Up Below to Help! Congratulations to all new and returning PTA/PTSA Unit Officers and thank you from all of us for your gift of time and dedication! If you have not yet filled all positions, please send in the officer information for the positions that are filled. You can always add others when they are voted in. For over 100 years, PTA has supported public education. The guarantee of free public education is at the heart of our nation’s promise of democracy and equality for all. Only when all children have a chance to learn can everyone enjoy equal opportunities to work, achieve, and participate fully in our society. Diverting public funds to private and parochial schools through vouchers or other measures will hinder our efforts to provide a quality education for all students. We must provide an excellent education for every child, not just vouchers for a few. The way to ensure that every child has an equal and valuable education is to invest in our public school system. The real beneficiaries of “choice” programs are private and religious schools. 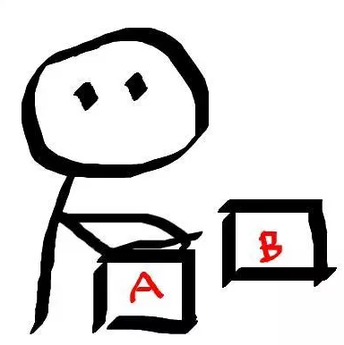 Private school administrators select which students they will or will not admit. Private schools can discriminate and refuse to accept students because they have a learning or physical disability, lack English proficiency, or have other special needs. A parent’s “choice” extends only to determining to which school they will submit an enrollment application. In many areas of the country “school choice” becomes meaningless either because there are no private schools or because the only private schools are religious, and might not be the appropriate denomination for the student. The Springfield Council of PTAs has joined a fundraising event for non-profits called Big Hat Fantasy Extravaganza coordinated by Men’s Chorus of the Ozarks. Seven non-profits are competing in this year’s fundraiser. Each charity is to prepare a “themed big hat” and costume for a model to wear that represents the mission of their group. 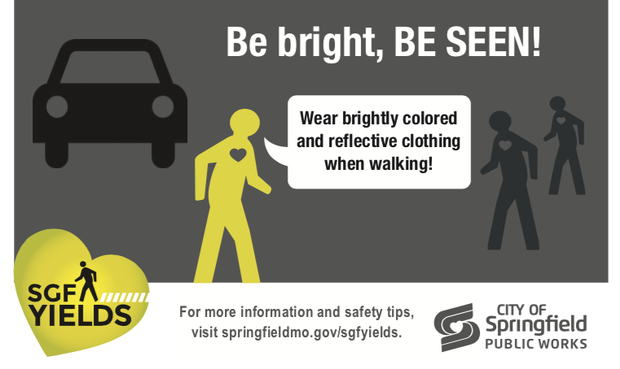 We are pleased to introduce the latest “Super Hero” to Springfield and beyond. “Socks and Underwear Girl” has resided at the PTA Clothing Bank since 1973. This “Super Hero” can “fill laundry baskets in a single visit” to the Clothing Bank. She can find socks and underwear to fit kids from kindergarten to senior in high school, styles, and colors they like, too! “Socks and Underwear Girl” has decided to do even more by giving the new skivvies out TWICE a year to those growing children. 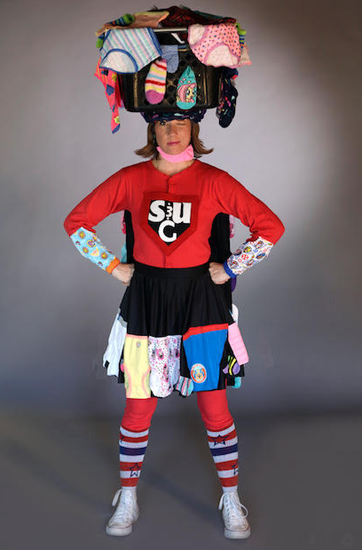 To kick off the fundraiser, “Socks and Underwear Girl” will make a special guest appearance at our SCPTA meeting this Wednesday at Reed Academy. Please plan to attend and cheer her to victory! 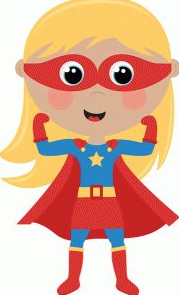 Jonna Volz, a PTA member of both Kickapoo and Parkview High Schools, has graciously donned the “Super Hero” costume to represent PTA in this fundraiser. Many THANKS to Jonna for her gifts of time, talent and patience. Let’s show our support for her effort by showing up to CHEER, by VOTING for the PTA “Big Hat and by TALKING IT UP!! Tell everyone about the fundraiser, encourage them to go to the website and most important--VOTE FOR PTA!! We have the advantage with a large base of support and membership so we can WIN by everyone (members, friends, families, neighbors, co-workers, and families far away) voting for “Socks and Underwear Girl.” For just 20 votes ($1 per vote) you can provide socks and underwear for a year to one SPS student. 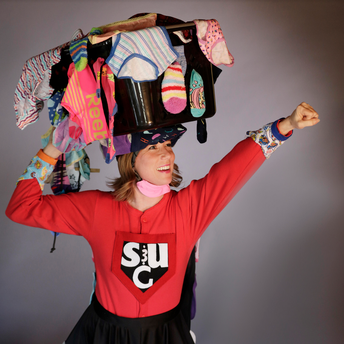 Thousands of students come to OUR Clothing Bank to see “Socks and Underwear Girl” every year. Won’t you help her “POWER UP?” VOTE TODAY! VOTE FOR THE PTA CLOTHING BANK BIG HAT!! Vote by PayPal ~ $1 per vote ~ vote as often as you like! MUST be received by April 26! Join us for the live event On April 28, at the Old Glass Place from 6 to 9 p.m. to hear who wins! Hors d’oeuvres and desserts and entertainment will be provided. A cash bar will be available all evening. The event is open to participants 18 years or older. Tickets are $35 in advance from Terry Dunham during the SCPTA meeting this Wednesday or by calling 417-866-7620. Bissett, Disney, Gray, Harrison, Jeffries, Pershing Elementary, Pershing Middle, Pleasant View Elementary, Pleasant View Middle, Portland, Twain, Watkins, Wilson's Creek, and York! Council pays each principal's site $200 just for PARTICIPATING in the fundraiser--and the winner with the highest selling percentage gets $500! Participating PTA/PTSA units will receive a check at our May meeting for the monies raised during the fundraiser. We hope this fundraiser has been a great experience. 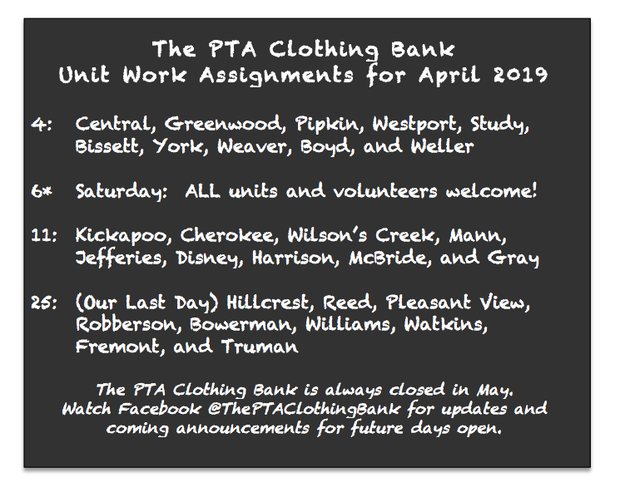 Again, thank you on behalf of Council and specifically the PTA Clothing Bank! You all are our heroes!! Officer Transition--check your bylaws for direction on when officers assume duties of their new positions. If you are “passing the baton,” please plan for a smooth transition that is in the best interest of your PTA/PTSA and the students you represent. 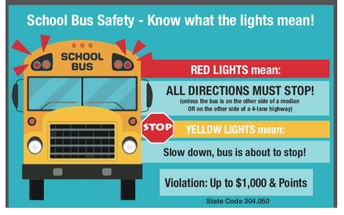 Do You Know What the Lights on the Bus Mean? Do You Know the White Cane Law? 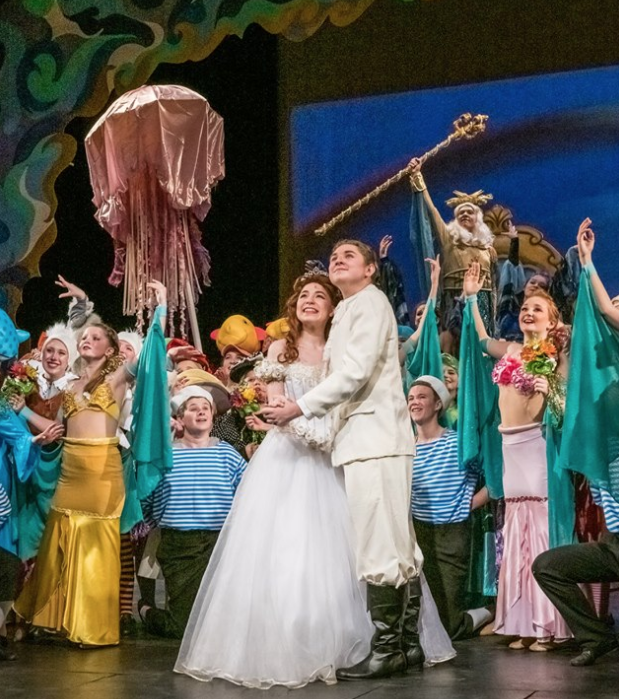 Over 2,000 4th Graders Enjoy The Little Mermaid Jr.
Springfield Council of PTAs invites each 4th-grade student to experience a play free of charge at the historic Landers Theatre--Springfield Little Theatre. Principals will soon receive information about busing and permission slips. This year's play is Disney's The Little Mermaid Jr. on Tuesday, March 26, and Wednesday, March 27, at 9:30 am and 1 pm. We thank all the cast and staff at Landers Theatre-Springfield Little Theatre for creating these special performance times that will allow over 2,000 Springfield 4th Graders exposure to great artistic culture in our community! Our next RIF sorting is 9 am to noon on Tuesday, April 16, at National Audio Company, 309 E. Water Street. Please join us f you would like to choose the books for your school. Our next RIF distribution day is 9 am to noon on Wednesday, April 17, at NAC. Students, to help us promote the Reflections 2019-2020 program, the Springfield Council of PTAs is offering a $200 award for the best promotional video! The video must explain the Reflections program, describe the categories, share about creating original artwork, instructions about filling out the form and submitting the entry. Video submission deadline is Wednesday, May 1. Submit your video to Jessica Rosa at jrosaphoto@gmail.com! The PTA is the oldest and largest child advocacy association in America. Today’s PTA is comprised of more than 4 million parents, teachers, grandparents, caregivers, foster parents and other caring adults who share a commitment to improving the education, health, and safety of all children. We speak with one voice for every child. Today, the issues that affect our children extend beyond their individual schools. The PTA’s nationwide network provides parents with the forum and tools to collectively influence the decisions that affect children not only at their schools, but also throughout their districts, within their states, and across the nation. This mission is unique to the PTA. Many of the benefits our children receive today, such as universal kindergarten, the National School Lunch Program, and a juvenile justice system, were accomplished as a result of the PTA mission.